Chances are, you’re a liar. Maybe not a big liar — but a liar nonetheless. That’s the finding of Dan Ariely, a professor of psychology and behavioral economics at Duke University. He’s run experiments with some 30,000 people and found that very few people lie a lot, but almost everyone lies a little. 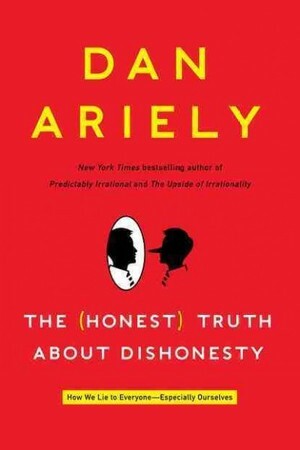 Ariely describes these experiments and the results in a new book, The (Honest) Truth About Dishonesty: How We Lie To Everyone — Especially Ourselves. He talks with NPR’s Robert Siegel about how society’s troubles aren’t always caused by the really bad apples; they’re caused by the scores of slightly rotting apples who are cheating just a little bit. “It’s inaccurate, first of all. When we do experiments, when we try to tempt people to cheat, we don’t find that these three elements — what do we stand to gain, probability of being caught and size of punishment — end up describing much of the result. “Well, people do this, they shred, they come back, and they say they solved on average six problems, we pay them $6, they go home. What the people in the experiment don’t know is that we’ve played with the shredder, and so the shredder only shreds the sides of the page but the main body of the page remains intact. … What we find is people basically solve four and report six. … We find that lots of people cheat a little bit; very, very few people cheat a lot.